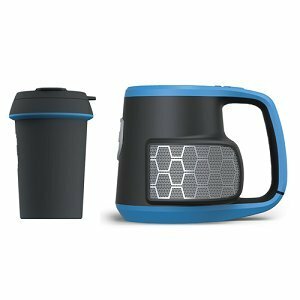 Beer Stein with Bluetooth Speakers - Moar Stuff - You don't need it but you know you want it. 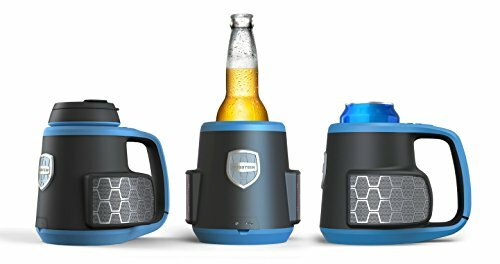 The world's first Bluetooth® stereo speaker with beverage integration. Music + Drink, together at last! Splash proof IPX-4 design. Bluetooth® wireless 4.0, 360 degree stereo sound, dual bass boost. Microphone for taking calls. Audio thumb controls. 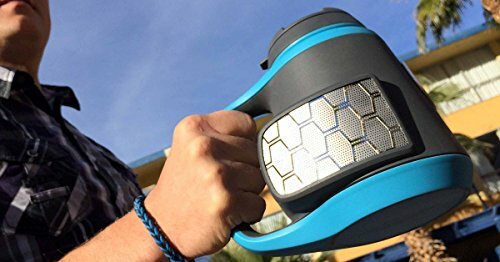 Rechargeable battery ≤ 15 hours playtime. BPA free, 375ml drink insert for hot/cold beverages. Accommodates most bottles/cans. The DubStein is a 12 oz. 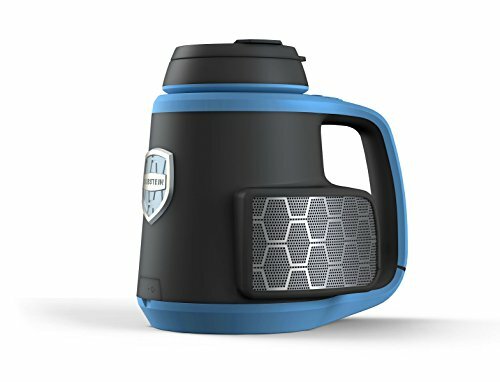 Beer Stein with Bluetooth Speakers built in. This means you can have your tunes and your brew at the same time! The built-in speakers are splash-proof so you don’t have to worry about spills but, I wouldn’t toss it in the pool. 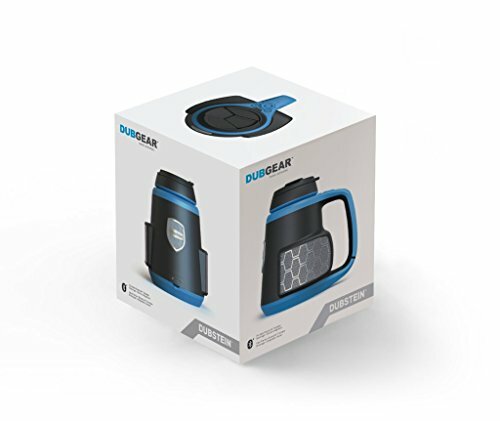 The insulated stein holds 12 oz (375ml) of your favorite beverage and keep it hot or cold. 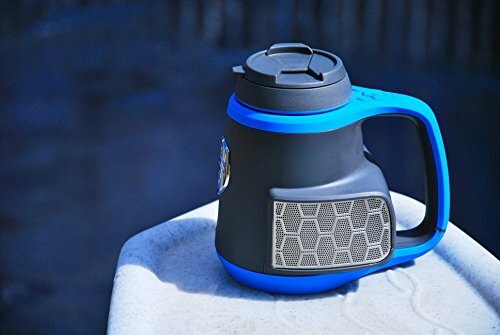 Sure, with a name like DubStein, it was made for beer but, it can also hold coffee just fine. This is a nice feature for the morning after a bit too many, right? 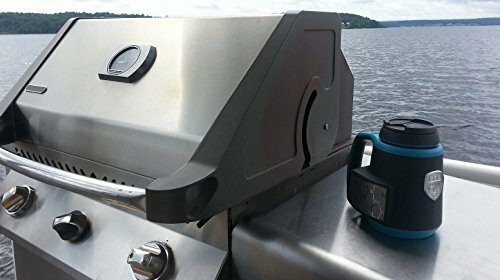 The DubStein also comes with different inserts to hold bottles and cans for convenience. The inserts also make cleanup easy as you just pop it out, wash and dry it, then put it back in. The speakers pump out up to 100 db of sound in a full 360′ circle around you. The rechargeable battery can last for up to 15 hours so, it will still be going long after you’ve had way too many. 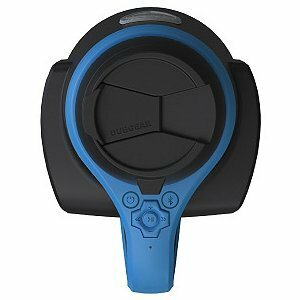 It’s easy to pair up with your phone via Bluetooth and even features a built in microphone controls on the top of the handle so you can control your music or take calls without putting down your drink. Product Dimensions 5.2 x 6.5 x 6.7 inches. Battery: Up to 15 hours of continuous use on a single charge. Materials: BPA-free hi-impact plastic, aluminum, and stainless steel.